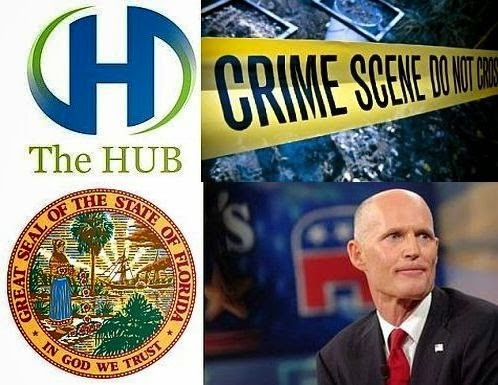 Evidence of Florida Governor Rick Scott's Involvement/Negligence in the UNLAWFUL INCARCERATION and TORTURE of Spencer C. Young and associated CIVIL RIGHTS VIOLATIONS, resulting in the trampling of SEVENTEEN Constitutional Rights and Mr. Scott's willful participation in what he knew to be a FRAUDULENT and BASELESS EXTRADITION to North Carolina is OVERWHELMING and OBVIOUS, as evidenced in the below hyperlinks, which are presented in reverse chronological order. Accordingly, he is being additionally named in a Federal "Color of Law" Criminal Indictment of 35 other public officials in the states of Florida, North Carolina and Kansas, and 15 private citizens who played complicit roles in the perpetration of numerous crimes. His co-collaborator, North Carolina Governor Bev Perdue, was included in the original indictment on May 30, 2014. FL Gov.Rick Scott & NC Gov. Bev Perdue :Seriously, What is Wrong With You People?!? Fraudulent North Carolina Extradition Order Approved By Florida Officials ?! . . . What !? This MUST Be Stopped ! Gov. Rick Scott & Gov. Bev Perdue: Please Stop This MADNESS ! My Unlawful Extradition Must Be Stopped . . . Or I Will Be Assassinated ! To: The Durham Police Dept. & U.S. Dept. of Justice . . . . . . . . . . ." This Is An Outrageous Travesty Of Justice ! " Message to President Obama, Governor Scott, and Governor Perdue: "I Beg of You to Help Me!"